They made Fat Princess, now six people from Titan Studios are establishing a brand new independent developer. 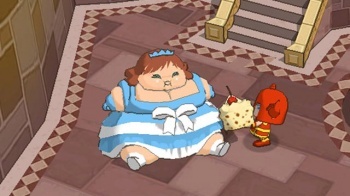 Fat Princess is one of those games that a lot of people fell in love with when it was released on the PSN back in 2009. Since then, though, Titan Studios has been relatively quiet, aside from releasing a 2010 expansion pack. Now, though, it turns out that six folks from the Fat Princess core development team have decided to go out on their own and form a new studio. The studio, Carbon Games, will consist of (in alphabetical order) Dawna Baltins, Weng Chen, Matt Endsley, James Green, Branimir Karadzic, and Ken Klopp. The studio will work as an independent developer, "free to make the games we want on the platforms we want, and interact with the public the way we want. This is the primary reason why we wanted to 'go indie' at this time." From the sound of things, the new studio's creation is a pretty amicable situation. Speaking to Joystiq, James Green revealed a little more: "We had actually been winding down Titan gracefully for a while. The longterm plan has always been for Epic Games China to exist on their own. We were just in a support/advisory role, which is why we never followed up Fat Princess with anything." No word yet on what the studio's first project would be. Based on how great Fat Princess was, though, it seems safe to assume that whatever Carbon Games produces will be an absolute blast.